Coverage highlights include interviews with famous authors including John Grisham, Gregory Maguire, James Patterson, Lee Child, Pulitzer Prize winner Geraldine Brooks,swimmer/author Diana Nyad, actor Nathan Lane, actor Jesse Eisenberg, and many others. Book View Now’s focus will then shift to BookCon, with live webcasts on Saturday, May 30, from 12 to 4 p.m. and on Sunday, May 31, from 12 to 4 p.m., again available onwww.BookViewNow.org. Coverage will be unique: guest authors will join as co-hosts in one-hour shifts to share their insights and interview their fellow authors. 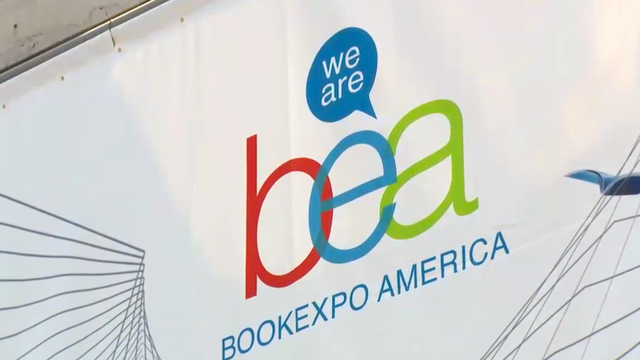 BookCon is an immersive experience that features panels, Q&A, autographing sessions, and interactive, forward thinking content marrying the published word with video, podcasts, and more. The third day of Book View Now’s coverage will feature guest host and graphic novelist, Ben Hatke, who will interview three of the biggest graphic novel stars, including Jeff Smith (Bone),Raine Telgemeir (Sisters) and Jenni Holm (BabyMouse). In addition, host guests Libba Bray, National Book Award winner Jacqueline Woodson, Brian Selznick (Caldecott winter for The Invention of Hugo Cabret), Humans of New York’s Brandon Stanton, plus a feature on the authors behind the We Need Diverse Books Initiative.